The Health Concerns of Mold in the Home! Mold in the home has been linked to many health issues including asthma and respiratory concerns. 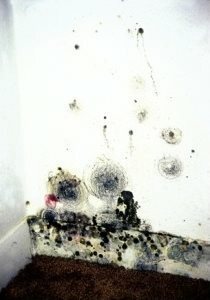 Is Mold making you sick? When we see mold on a piece of bread, we immediately throw it out. When we see mold in our shower, we scrub and sanitize it quickly. 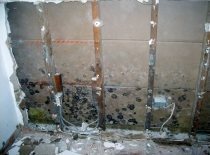 So why, when we see Mold in our basements, do we cut corners when we mitigate it? It has been shown that mold in the household can cause health issues and aggravate allergies in some people, which raises concerns about the toxicity of mold. Why does mold affect some members of a household and not others? The effects of mold are caused by an allergic reaction and some people are more susceptible to develop the allergy. The reactions to mold may happen immediately or over a period of time, and these mold allergies can range from mild to severe and may depend on pre-existing conditions. In the average, healthy adult, mold can cause adverse effects such as, nasal stuffiness, eye irritation, wheezing, skin irritation, and upper respiratory tract symptoms such as coughing. However, if there is a serious allergy to mold, a fever or shortness of breath can develop and people with chronic lung illnesses can develop infections in the lungs due to mold exposure. The CDC also cautions that mold may be a link to the development of asthma in children who may have the genetic susceptibility towards asthma. Because of the negative reactions mold causes, as well as the damage it can do to your home or business, it is important to mitigate mold properly to remove any spores in the air as well as on the surface areas. Contracting with a qualified and knowledgeable mold mitigation and remediation company is the only way to truly know that the mold is no longer a threat to your property or your health. At Disaster Blaster, we have trained professionals with the knowledge to address not only the visible mold growth, but the invisible mold spores, protecting your house and family from further contamination. For Mold issues, or any other indoor environmental concerns such as, Radon Mitigation or Asbestos Abatement, please Contact Us. Our commitment is to the health and safety of our neighbors.